Music has a way of connecting people and helping them overcome their own personal difficulties. The work of rapper Lil Peep was helping his young listeners manage their personal and emotional problems. 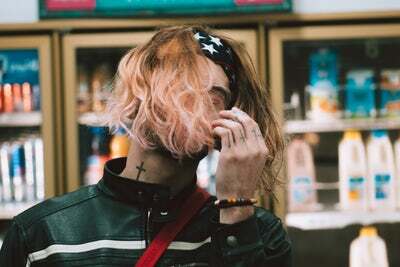 Peep was very straightforward and blunt about his emotional issues and his drug use and helped his listeners understand that they were not alone in this world. Tragically, Lil Peep was unable to overcome his demons and died at the age of 21 after mixing fentanyl and Xanax. This type of behavior is known as polydrug use and is incredibly dangerous. It is particularly problematic for those who have suffered from anxiety and depression because they often use various types of opiates to make themselves feel better about life. The truly tragic thing about this case is that Peep could have received treatment for his addiction and achieved the recovery success that he deserved. Dual-diagnosis has helped people overcome the trauma of dependency on opioids, opiates, alcohol, methamphetamine, pills, and even heroin. With this type of care, Peep could have overcome his depression and received care for his mental health problems. For those who have never heard of fentanyl, it is a synthetic opioid drug that is a powerful prescription drug that is used as a painkiller in extreme circumstances. For example, people who have terminal cancer and who are in severe pain may receive fentanyl to manage their symptoms. That’s because it is over 50-100 times more potent than standard morphine and many other types of opiates. Unfortunately, that makes it a particularly dangerous problem. In fact, it has even been used as a replacement drug for heroin when individuals go through rehab for their addiction. The main problem with fentanyl is its extreme potency. People who are addicted to opiates often give up their illegal substances and work hard to obtain either a prescription for fentanyl or start buying somebody else’s prescription to manage their dependency. And like other types of opioids, it binds to the receptors in the brain and causes extreme feelings of ecstasy by increasing your dopamine levels. People who take fentanyl will experience extreme euphoria and also feel drowsy, nauseous, confusion, and more. When it is abused, tolerance and addiction are practically assured, and overdose is a huge risk that is very common with those who use and abuse this substance. The appeal of this drug, beyond its physical potency, is the effect that it has on a person’s anxiety and depression. Many who have problems with mental health often turn to fentanyl as self-medication for severe anxiety. Taking even a small dose will calm their mind and relieve these severe symptoms, making it easier for them to overcome their personal issues, even if just temporarily. Unfortunately, this causes both a physical and a mental addiction that create a problem known as a co-occurring disorder. This symptom occurs when a person has both mental health and addiction problems. It creates a cycle of abuse that is often very difficult to escape from because both issues feed each other and complicate a person’s recovery. In fact, the potency of this drug and its tendency to produce tolerance also creates the danger of what is known as polydrug use. This problem is an issue that affects many individuals who are suffering from addiction. It was a problem that Lil Peep knew all too well and is what eventually ended up taking his life and leading to his personal and professional downfall. Polydrug use is the ingestion of more than one type of drug at the same time. 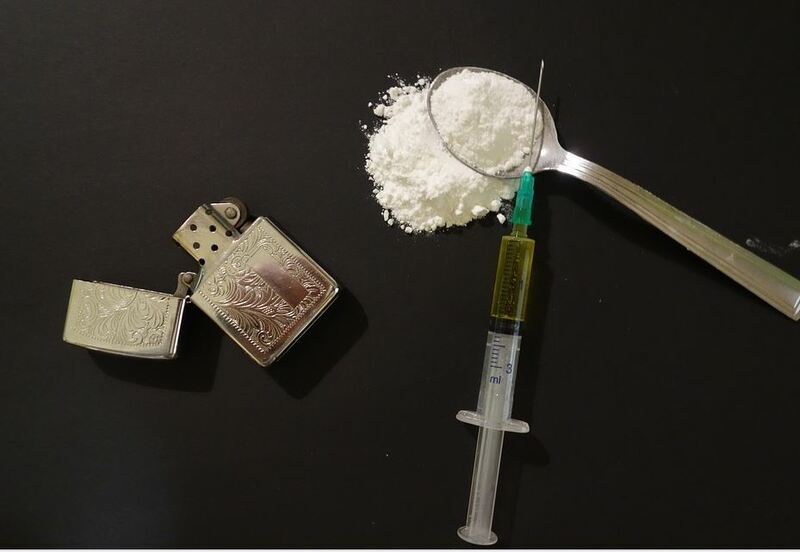 If you have ever heard of a speedball, then you know a little bit about polydrug use. A speedball mixes uppers and downers to create a variety of different physical and mental effects. The danger here is obvious. It will tax your body and can cause a multitude of severe side effects, including heart attack. However, the type of polydrug use that Peep preferred was to mix multiple forms of the same kind of drug. For example, he was particularly fond of mixing fentanyl and Xanax, which are both downers. The approach here is to increase the potency of these substances’ effects and to make them even more extreme. The euphoric effects of both drugs would be enhanced massively in this way. Other types of polydrug use that Lil Peep had tried included mixing benzos and alcohol with different kinds of medications. For example, he was known to rap about and promote the use of Lean for managing trauma and depression. This drug has become popular both in the rap world and in the everyday life of many individuals. That’s because it is very cheap and easy to make and uses ingredients that you can buy in a store. Unfortunately, this is one instance of the bad influence that Peep and other rappers could have on fans. 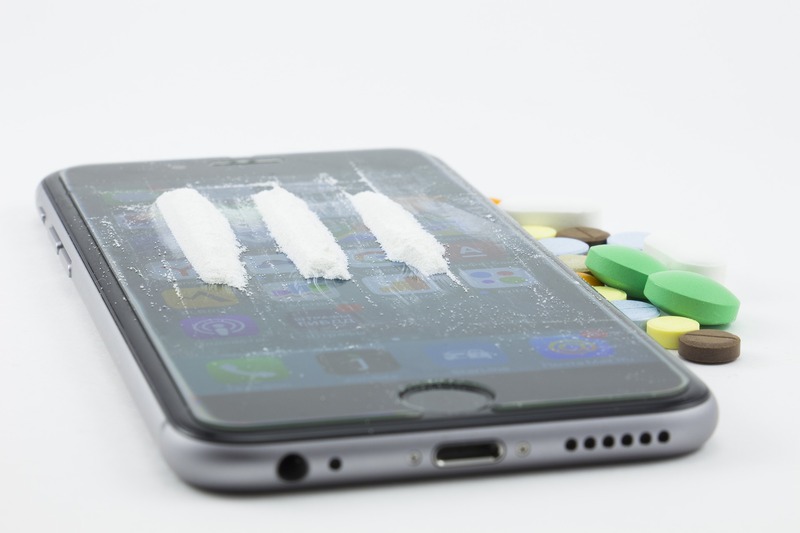 Other types of polydrug use include mixing various kinds of prescription medications, such as Vicodin, Valium, Xanax, and oxycodone. These are all substances that Peep had tried in the past and abused at various times. They brought him a sense of calm to his anxiety that made it easier for him to ignore the real danger that he was putting his life in every time he abused these substances. And sadly, all it takes is one overdose to end a promising life. When Lil Peep died and the medical examiner checked his body, there were many drugs in his system. While his death was ruled as an accidental overdose from fentanyl and Xanax, they were not the only drugs he had been taking. For example, there was marijuana, Tramadol, hydrocodone, benzodiazepines, Dilaudid, oxycodone, oxymorphone, and cocaine. It may be hard to imagine that kind of abuse, but it isn’t uncommon in the rap world. This kind of severe drug abuse is one that is impossible to maintain. Taking even one of these drugs can be dangerous and life-threatening. Mixing two or even three of them could create severe complications and even allergic reactions. However, that kind of excessive polydrug use is ludicrously and overwhelmingly risky in a way that verges on suicidal. Could Peep have been trying to kill himself by abusing these types of drugs? It is hard to say, but if so, he wouldn’t be the first person to behave in this way. The unfortunate truth is that he likely didn’t mean to take his own life in this way. And the even scarier fact is that he could potentially influence his fans to start behaving in similar dangerous ways instead of emulating the positive example he may have set with his music. While Peep was an emotive rapper who inspired his fans to overcome their anxiety and depression, he could also be a bad influence. For example, his raps about drugs were sometimes mixed in their message. Sometimes, he would rap about the negative impact of drugs on his life while also celebrating how they helped him. Sadly, this could cause his fans to behave in the same way. This type of influence is nothing new in the world of celebrities, particularly in the world of rap. For example, when Eminem became popular in the rap world, fans started emulating his style, including dyeing their hair and behaving in similar ways. While hair dye is obviously not a real danger in a person’s life, other fans missed the messages inherent in many of his songs and instead emulated his bad behavior, such as abusing drugs and alcohol. In the same way, Lil Peep has often rapped about the dangers of his addiction and tried to warn fans away from abuse. However, this information has also influenced his fans to experiment with drugs as a method of emulating his behavior. Unfortunately, his response on social media also sent mixed messages, as some of his final Tweets included videos of him popping the pills that may have taken his life. Sadly, this could cause some of his fans to emulate his actions and end up in the same sort of addictive cycle. Thankfully, a large number of people who did post on his account stated that they were sad to hear of his death and the ways that addiction had caused him to spiral out of control. And many were arguing with him about posting videos of himself taking drugs, as they believed it set a terrible example. And still others were telling him that he needed help and that he could overcome his addiction by visiting a treatment facility for rehab. But like Amy Winehouse before him, Lil Peep did not believe that he needed any care of treatment. And like so many other promising individuals, he lost his life to the drugs that he thought were so important to his life. It didn’t have to end that way. As you can see, addiction to polydrug use is a significant issue that puts a person’s life at serious risk. Lil Peep’s abuse of various types of opioids was both a symptom of his mental health problems and a treatment method. Though his attempt to help himself is understandable, it was not the right approach for him to take. In fact, going through dual-diagnosis would likely have been a lifesaver for this young man. Dual-diagnosis is a powerful treatment method that manages all levels of a person’s addiction. For example, it will pinpoint the causes of their dependency, including psychological issues. Lil Peep, like many people, suffered from severe anxiety and depression and even trauma. These issues caused him extreme unhappiness that his drug use helped to alleviate. And once he had discovered polydrug use and its effects on his PTSD, he fell into a cycle of abuse that he justified because it made him feel better. Dual-diagnosis would have helped Peep by giving him the insight to understand the dangers of his drug use and to take the steps he needed to take to break through his dependency while overcoming his psychological problems at the same time. Just as importantly, it would have managed his physical addiction by weaning him off of fentanyl with replacement medications. These safer medicines help a person avoid the dangers of withdrawal and slowly eliminate their dependency on these substances. This multifaceted approach has become the most important and useful way to beat dependency. The real tragedy to Lil Peep’s story is that he couldn’t overcome the issues that fueled his best music and which helped him connect with so many people. With the proper caring recovery treatment, Peep could have beaten his addiction and given his fans an even bigger inspiration. Sadly, we’ll never know just how high his career could have risen. So if you or someone you love is suffering from dependency or even PTSD due to opiate or benzos use, you need our help. We are a dual-diagnosis rehab center that is skilled at identifying the underlying problems that contribute to substance abuse and can give you the care and attention that you need for your treatment and your complete recovery. Our care starts by taking a look at your mental health issues and assessing where your addiction originates and how we can help you overcome it. Then, we can provide you with the withdrawal care that you need to overcome your physical addiction. These two interconnected problems require a concentrated approach and a skilled treatment method to overcome. And it’s something that many people can’t do on their own. With our help, you will receive the real care that you need to beat addiction and regain a healthy life. Fans of Lil Peep can use both his music and his death as an example of the dangers of addiction. His legendary connection with his listeners can inspire them to go through their rehab successfully.